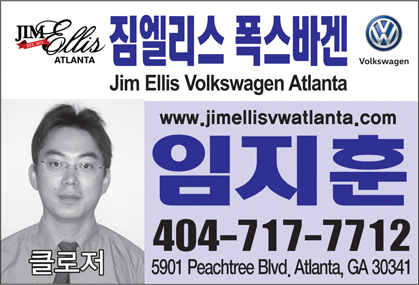 'K-POP King' EXO! Domestic sales exceeded 10 million copies! 'K-POP King' EXO (SM) has become a regular 5th album in the quintuple millions sellers, and at the same time, it has made a record of exceeding 10 million records in domestic cumulative sales volume. 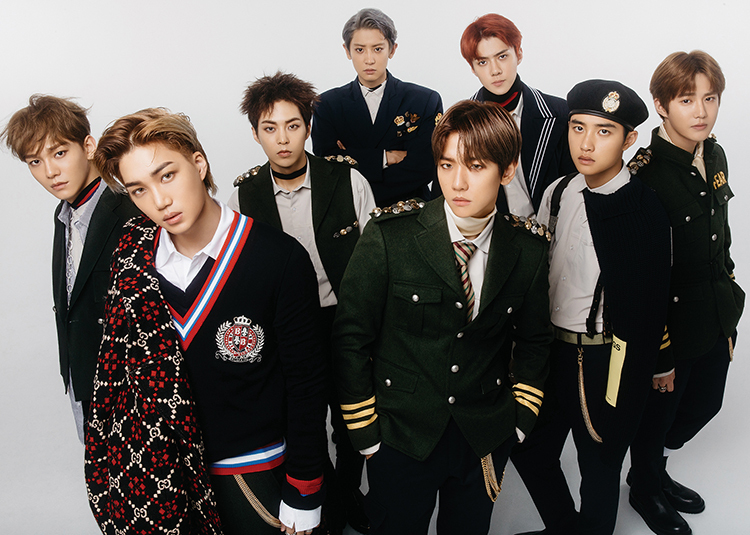 The album 'Do not Mess Up My Tempo', released on November 2, has recorded 1,179,997 sales (as of November 11) of its 5th album 'Do not Mess Up My Tempo' As a result, Exo has exceeded 1 million of 5 regular albums from regular 1st to 5th album and has proved to be the number one player in the 'No.1 Album King' as well as becoming the quintuple million seller. In addition, EXO has reached the record of exceeding 10 million copies of domestic record sales in this album. The total number of domestic album sales to domestic album sales amount to total 1 ~ 5th album, mini 1 ~ 2 album, winter special album, "K-POP King" Exo's power was confirmed. 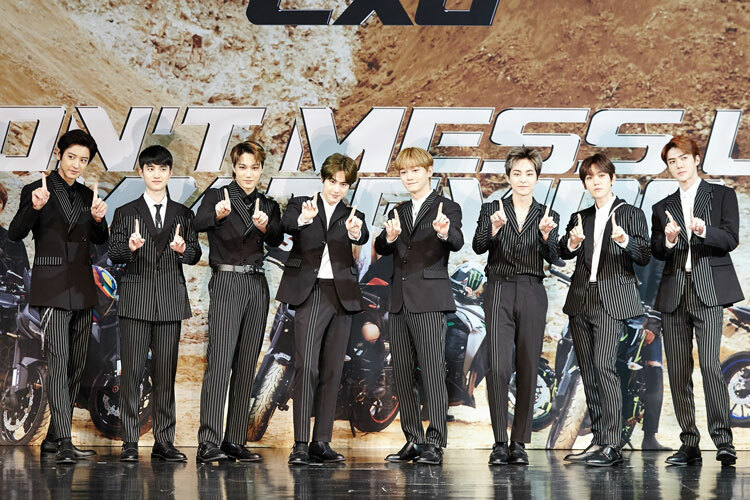 Among the singers who debuted since 2000, the number of cumulative record sales in Korea exceeded 10 million, which is the first time for Exo to realize the unique status of EXO, which has been loved by music fans for every album released. In addition, the 5th album topped the top charts of the iTunes comprehensive album charts such as the first place in the world 47 places, the United world chart first place, China shamisu music first place chart, the music chart first place. On the other hand, EXO is loved by the regular 5th title 'Tempo'. In addition, this album is also available on the iTunes Comprehensive album charts in Canada, Sweden, Greece, Colombia, Mexico, Brazil, Chile, Argentina, Peru, Saudi Arabia, Egypt, India, Singapore, Russia, Indonesia, Bulgaria, Kazakhstan, Finland, Brunei, Cambodia, Latvia, Norway, Bahrain, Oman, Japan, Costa Rica, Thailand, Laos, Macau, Vietnam, Turkey, Philippines, Hong Kong, Taiwan, Malaysia, Mongolia, Bolivia, Trinidad and Tobago, Guatemala, Qatar, Romania, Mauritius, Fiji, Kyrgyzstan, Azerbaijan, and other regions. EXO is also the first Korean artist to be selected as an artist to launch the camera effects of the global social media platform Instagram. In response to this comeback, the camera effects that reflect the 5th model motorcycle concept on the 2nd were revealed through the Instagram, It is gaining high interest. The EXO camera effect is that when a filter is applied in the Instagram, a helmet and bike with EXO and TEMPO appear, and when the user starts to play the rhythm, the refrain of the title song 'Tempo' flows out, You can shoot and save as hot topics are gathering.